Canadian rockabilly master Cousin Harley is paying homage to influential guitarist, singer and songwriter Merle Travis in a rollicking new CD, Blue Smoke: The Music of Merle Travis, due out Nov. 25 on Little Pig Records. A special CD release event honoring Travis’ 100th Birthday will be held on the release date in Cousin Harley’s hometown of Vancouver, BC, at The Rickshaw Theatre. Recorded at Heavy-o-Sonic Studio in Vancouver, BC, Blue Smoke: The Music of Merle Travis marks Cousin Harley’s sixth studio album and features the trio of Paul Pigat – guitar and lead vocals, Keith Picot – upright bass, and Jesse Cahill – drums. Marc L’Esperance engineered the project and also contributed harmony vocals. On the CD, 11 Merle Travis classics have been given Cousin Harley’s hallmark rockabilly and western swing attitude, including “Smoke! Smoke! Smoke! (That Cigarette), “Sixteen Tons,” “Divorce Me C.O.D.”, “Deep South,” “Blue Smoke,” and “Cincinnati Lou.” Pigat also penned original song, “Rosewood, Kentucky,” as a tribute to Travis’ birthplace. 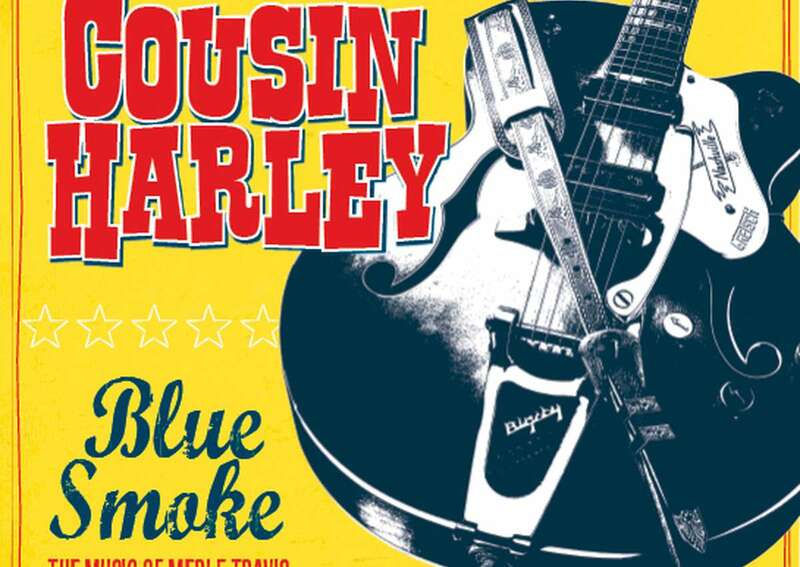 Cousin Harley’s Travis Tribute CD is sponsored by Bigsby Guitars & Vibratos, whose founder, Paul Bigsby, worked with Merle Travis in 1948 to build the first modern solid-body electric guitar. In 1951, Travis challenged Bigsby to design a guitar vibrato unit that would work and keep his guitar in tune. The result was the innovative Bigsby True Vibrato. Pigat, an official Gretsch endorser, primarily used his custom-made, Bigsby-equipped Gretsch Synchro-Club prototype on the CD. 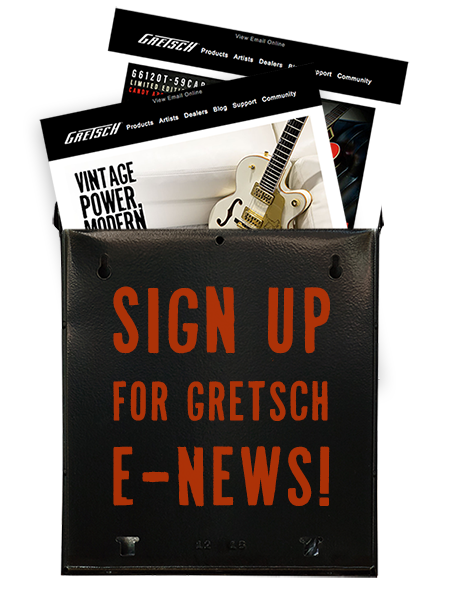 Designed with Stephen Stern, the head of the Gretsch Custom Shop, the Synchro-Club is a fusion of a thin-bodied early 1960s Gretsch Country Club and a 1939 Gretsch Synchromatic guitar. It features a blonde top, cats-eye soundholes, block inlays and custom TV Jones pickups.